Our range of equipment and cleaning standards includes the latest in technology. 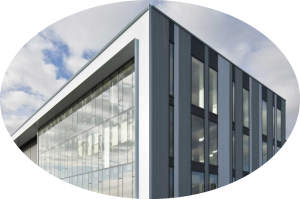 For example the Reach and Wash system allows safe cleaning up to a height of 45ft and eliminates the use of ladders and access equipment, which in turn promotes on-site safety. 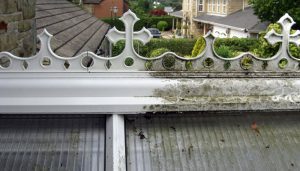 We are able to clean most conservatory roofs without the use of ladders or other equipment that can cause damage to your roof, all conservatory roof cleaning includes every aspect of your roof, gutters, window frames and glass. 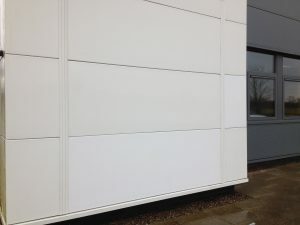 Is your building starting to look like this? 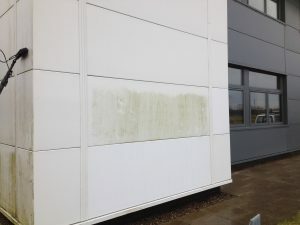 Again using the reach & wash system, we could have your building looking like new without the use of chemicals or other products that can damage the environment. Please contact us to arrange your free no obligation quote.